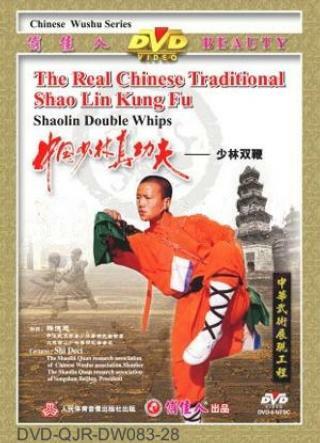 Sholin Double-Whip is a kind of soft weapon in sholin wushu but whips can also be used as hard weapons. It is a difficult weapon to practice. It is used as a rope when twining, as a staff when stretched, as a spear when thrust, and as a sword when cutting. It is powerful and hard to defend. Its movements are beautiful. In modern times the set of the double whips is often practiced as a way to perform or improve health. It enjoys high popularity among wushu lovers.